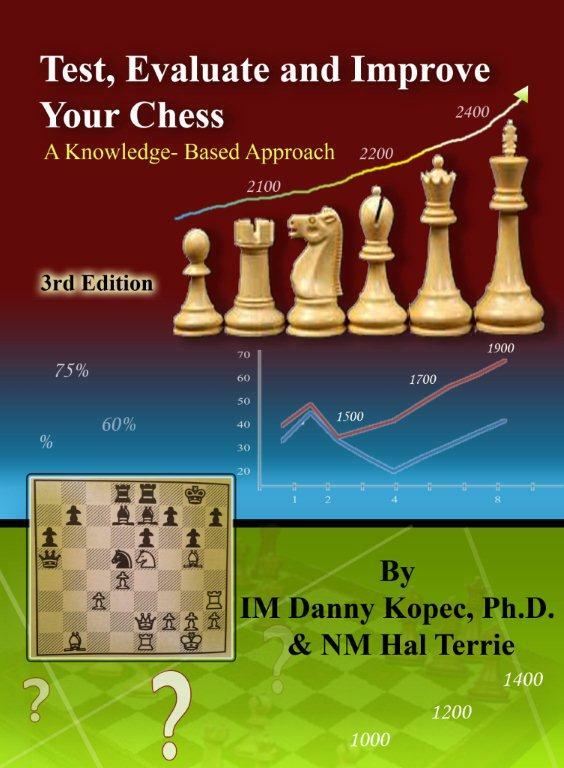 Test, Evaluate, and Improve Your Chess: Third Edition Announced! IM Kopec and NM Terrie are preparing the third edition of Test, Evaluate, and Improve Your Chess: A Knowledge Based Approach for publication. The third edition will include new tests, completely redesigned and reorganized content, and an easier to use testing methodology. The first and second editions have sold thousands of copies! Here is a sneak peak at the new cover!